We went camping for the Father’s Day weekend. We left on Thursday and returned home on Monday. It was fun even though we had to come back for VBS on Thursday and Friday, a birthday party on Saturday and church on Sunday. It was a time for us to get away and enjoy doing nothing. The first day we were there it rained so the kids had to be cooped up inside watching movies. 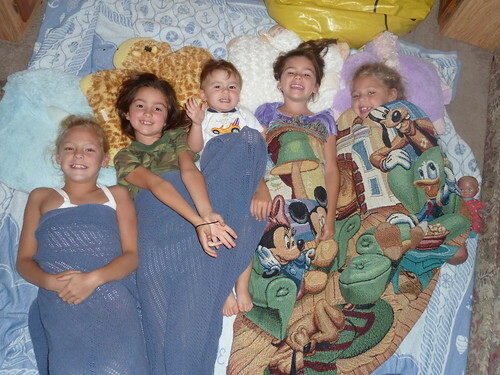 They all had pillow pets and and blankets so here they are all snuggled up with Luke. 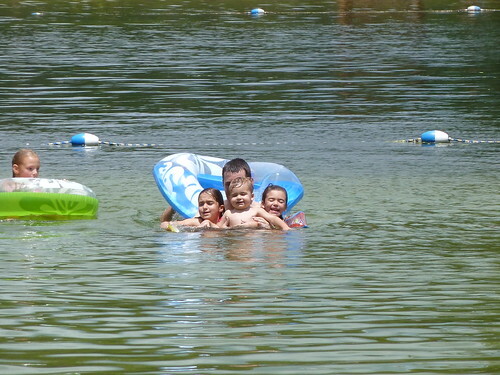 We spent much of the time at the lake since it was so hot outside. 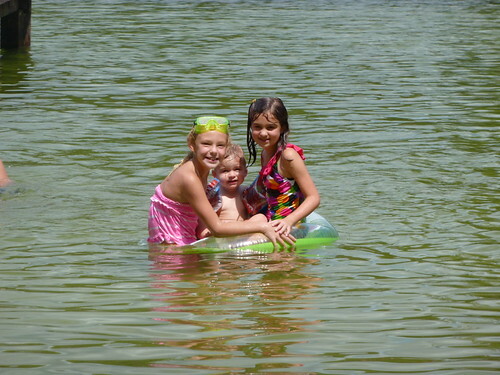 Here is a photo of the girls entertaining Luke while Will attempts a flip off the dock. 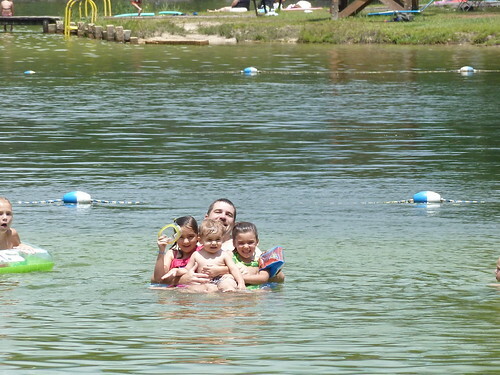 Here is Will’s photo with the kids for Father’s Day. 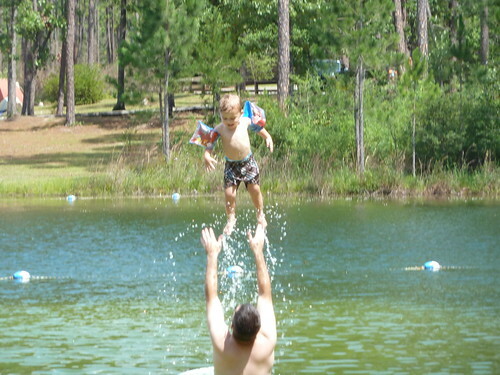 Here is Luke and Will in the water playing. At first Luke wasn’t sure about the arm floaties, but after he got used to the water, he loved it and just wanted to swim back and forth to me and Jenny. 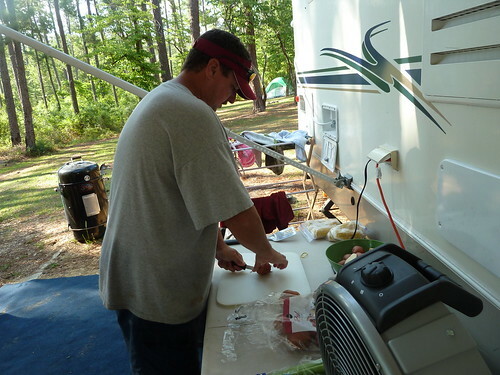 Here is Jason cooking our Saturday meal…boiled shrimp and potatoes and corn…mmm, mmm…. Thanks Jason! 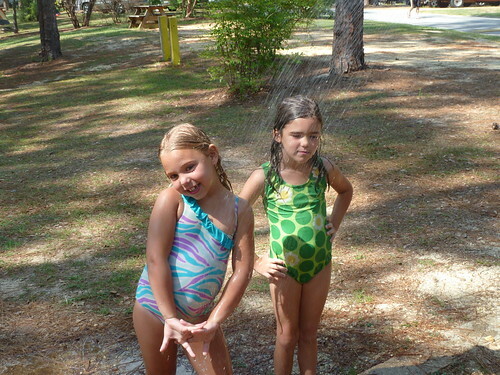 Here are the little girls rinsing off after a swim in the lake. Just look at these personalities! 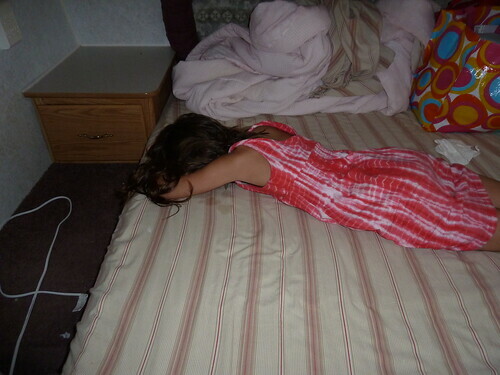 And here is Isabelle’s melt down fit after five days of playing hard. This crying went on for over thirty minutes. Can you see all of the tear drops on the bed? We are glad to be home and I am already packing and getting ready for our trip next week.